You must head over to the Hoseasons website to see some fab last minute getaways from just £149. 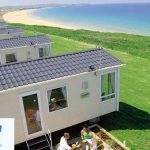 They have a selection of low prices on breaks at family holiday parks, caravans and cottage breaks with savings of up to 50% to be had! Here’s a screenshot of their late avaialbility page! Hoseasons are a great choice for family holidays, with loads of different types of holiday available, from lakeside retreats to beachside getaways. Their breaks can either cater for the peaceful and relaxing type or to the more lively holiday parks all located throughout the UK. Hoseasons offers a wide variety of family holidays in over 480 locations throughout the UK. Whether you desire a country cottage retreat or timber lodge, all-action family parks and resorts to a romantic getaway, there’s something for everyone. Standard of Excellence – All of Hoseasons holidays accommodation is selected and inspected by experts. They manage their property portfolio to the highest standards so you can be sure to find something meeting your expectations.